In 2000, I joined a round-the-world bicycle tour which included Australia to celebrate the millennium. I was 52. After the tour was over, I decided to stay in Australia to live in rural New South Wales. I applied for a “retirement visa” which had originally been established to let the English come over to Australia for a few years and enjoy the sunshine. We were successful in obtaining the visa, but one condition caught me by surprise and changed my life completely: I couldn’t work. I was forced into an early retirement with no real plan nor preparation. At that time, retirement was not on my agenda nor even in my world view. I did not find retirement an acceptable way to live at that time. With little choice, I participated in “retirement” activities: volunteering, remodelling an old house, travelling, hobbies, and exercising. None were particularly fulfilling nor held my interest for very long. As the working conditions of the visa were eased and you could work part-time, I decided that I wanted to become a yoga teacher and teach primarily seniors. 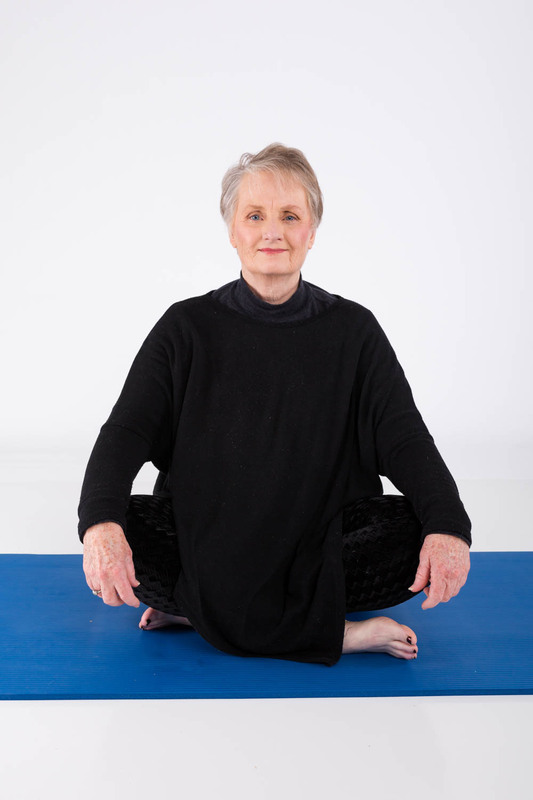 This idea had merit as I had taken yoga classes since coming to Australia and I knew that yoga, modified for seniors, could be very useful as the body aged. And no one else was doing it so I looked forward to the challenge. I began teaching yoga in 2007 and continued through 2017. I have taken a sabbatical from teaching classes in 2018 as I pursue other interests. Although I haven’t totally abandoned teaching, I do want time to think about it. My other interests include starting a podcast - Changing the Face of Yoga - which showcases the passion and purpose of yoga teachers and yoga therapists around the world. I am giving the public and the yoga community another look at what yoga is and its benefits for a wide variety of students. The personal satisfaction of creating and producing the podcast has led me to another topic I feel quite strongly about – retirement. I have a second podcast launching later this year called Changing the Face of Retirement – busting myths about retirement. Although everyone should plan for their health and wealth needs during retirement, it is equally if not more important to plan for a purposeful retirement. What will you do daily that gives you a sense of accomplishment, how will you give back, what will be your purpose for up to a third of your life? Having found that retirement can be pretty miserable with no planning and no purpose, I would like others to be more prepared than I was.